Fresh from the runway. One of the most feminine accessories is coming as a big trend. Couture may not make big money for fashion houses, but it's still big at setting trends. Or, put it better, bringing it back. "How to wear veil" is probably one of the most trending topics of the moment across media. And all this is thanks to Haute Couture Week that took place in Paris last month. It took two big brands to include veil in their Spring/Summer 2015 couture collections to make it obvious that this accessory gonna be big the following season. 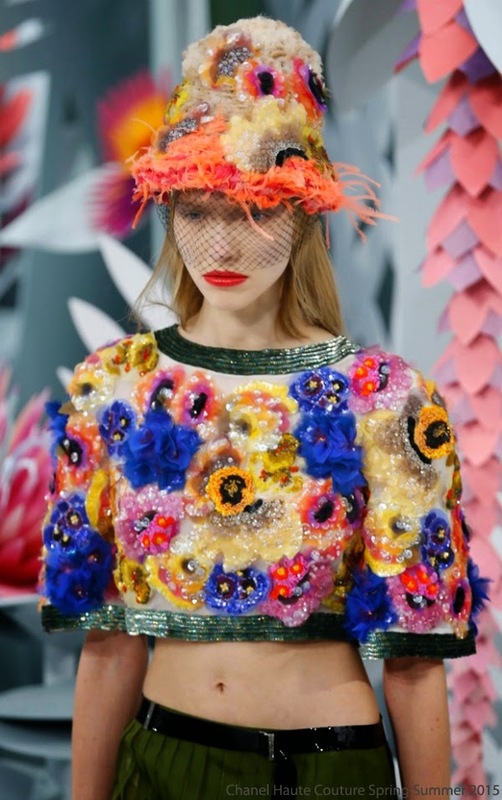 Giambattista Valli and Chanel showed two different approaches on how to use it right. Should it be a headband or a hat with veil or a simple net veil that covers your upper head side - you are given options to choose from. Before pitching into this trend lets go back to veil's roots. Did you know that word veil comes from French "voile" and means "curtain" or "net"? It is known that prior to become a fashion accessory veil had a very practical use, moreover, it's thought that veil might had originated from the East. Around the 4th century veil was introduced across Europe, by then it was already in wide use in Greece, Egypt and many Asian countries. It was in Europe that black and white veils came in use with white being a symbol of innocence and came as a part of bride's outfit, while black one symbolized mourning and was primarily worn by widows. Throughout veil's history there were periods when it saw slowdowns, but an important here is the fact that after such slowdowns veils kept coming back as really BIG ITEMS. During the 20th century just like many other items veil lost its practicality and became rather a fashion thing that was, and still happens to be now, relevant to a certain period of time or, simply, fashion. It's not like veils were totally forgotten over the past decades. 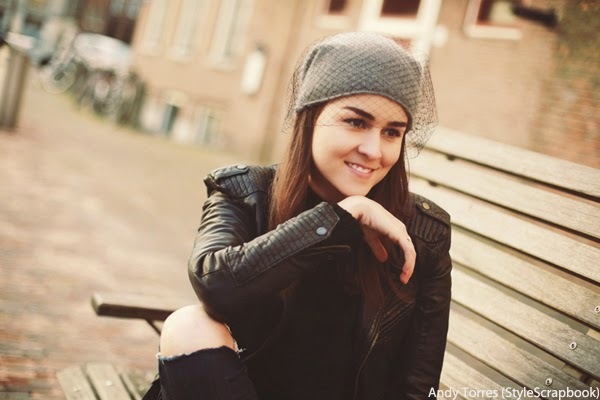 If we look back at last couple of years, then we'll find many celebrities and blogger-stars sporting veils in their casual outfits or evening gowns. Remember Beyonce at Met Gala 2014? Or Rihanna at Givenchy's show in March 2014? Such a different approach. I would say, two divas with absolutely different yet modern approach to veils. 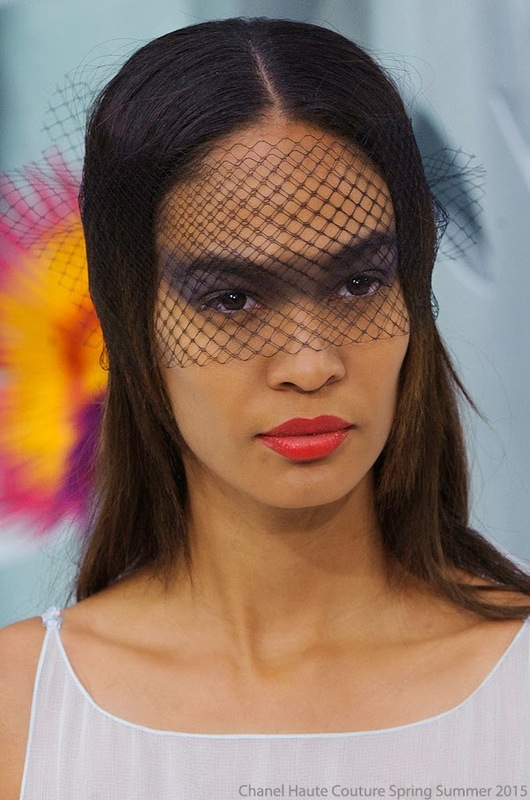 When it comes to Chanel hat-plus-veil version, we have to admit that it's not something new. Firstly, hats and veils were worn together some 50-70 years ago, though those hats were pretty different. 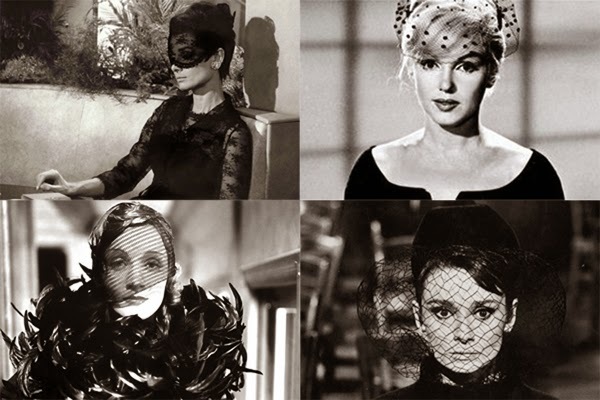 Secondly, beanies and veils have been a known combination for quite some time now. But we don't mind Chanel bringing hats and veils combo back on top, right? When it comes to questioning - "With what should I pair my new super cool veil?" - I would say with everything! Just go for mixing and matching approach to find out where it perfectly suits in your wardrobe. It's an undoubtedly perfect match for your evening gown a la Beyonce Met Gala style. And Maison Michel will help you with that. It will also look astonishing with trouser suit, if you want it the Chiara Ferragni way, but don't forget to take off bra and top in order to keep the balance, and get yourself similar veil by Red Valentino. If you love hats, something like baseball ones or beanies, you know, the casual type, then you'll love same Rihanna or Andy Torres. You kind find similar ones by Piers Atkinson and BCBGMAXAZRIA. A very laid-back way. 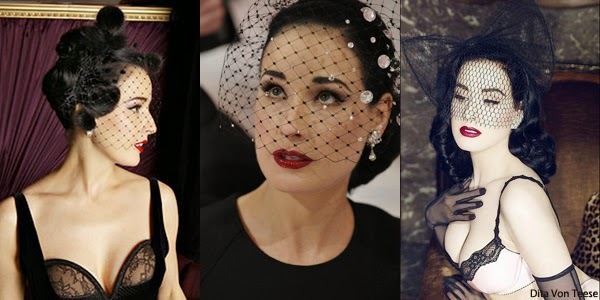 But, if you want to really learn to wear veils then turn to one and only Dita Von Teese. This lady knows all about how to implement veil in her personal style. If I have put my own opinion on the veil itself, then I honestly think that it's a highly underused accessory by women. Despite that veil is meant to hide a part of your face, it's a very inviting kind of accessory. It turns lady into a very mysterious yet sensual and charming being. Not really sure, if something like beanie-veil or cap-veil could suit me, but, you know, never say never. What I would totally love to try are the ones by Dolce & Gabbana and Red Valentino. Mysterious, but charming. So, veils are back as BIG and strong items that each of us is willing to have, at least, one. Which one would you choose? Photo Courtesy: Audrey Hepburn in How To Steal A Million, Marilyn Monroe, Marlene Dietrich in Shanghai Express, Audrey Hepburn in Charade, Giambattista Valli Haute Couture Spring Summer 2015, Chanel Haute Couture 2015, Chiara Ferragni from The Blonde Salad outside Dior Haute Couture Spring Summer 2015 Show, Beyonce at Met Gala 2014, Rihanna outside Givenchy Show, Andy Torres from StyleScrapbook, Kate Moss, Dita Von Teese for Elle Men China, Dita Von Teese: What I Wore, Dita Von Teese, Dita Von Teese for Von Follies.